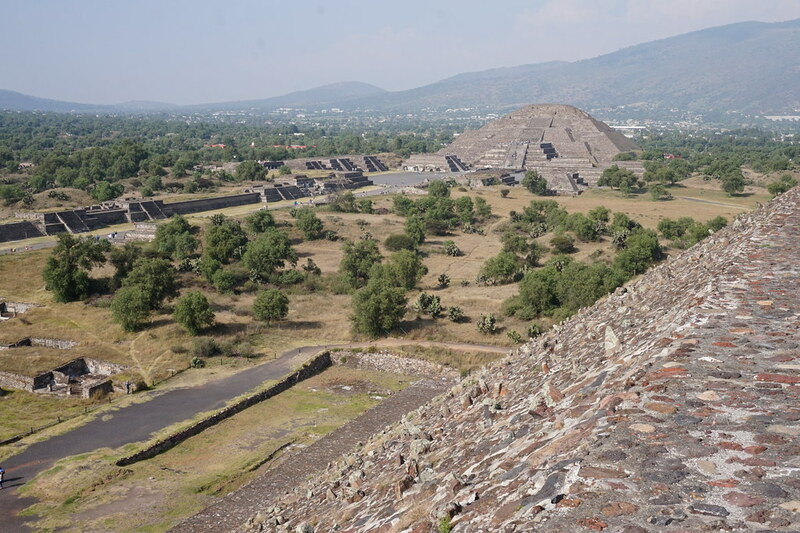 The group of the pyramids of Teotihuacan is in the valley of Mexico, eight leagues north-east from the capital, in a plain that bears the name of Micoatl, or the Path of the Dead. 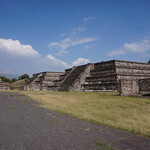 There are two large pyramids dedicated to the Sun (Tonatiuh), and to the Moon (Meztli) ; and these are surrounded by several hundreds of small pyramids, which form streets in exact lines from north to south, and from east to west. Of these two great teocallis, one is fifty-five, the other forty-four metres in perpendicular height. 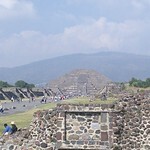 The basis of the first is two hundred and eight metres in length; whence it results, that the Tonatiuh Yztaqual, according to Mr. Oteyza's measurement, made in 1803, is higher than the Mycerinus, or third of the three great pyramids of Geeza in Egypt, and the length of its base nearly equal to that of the Cephren. 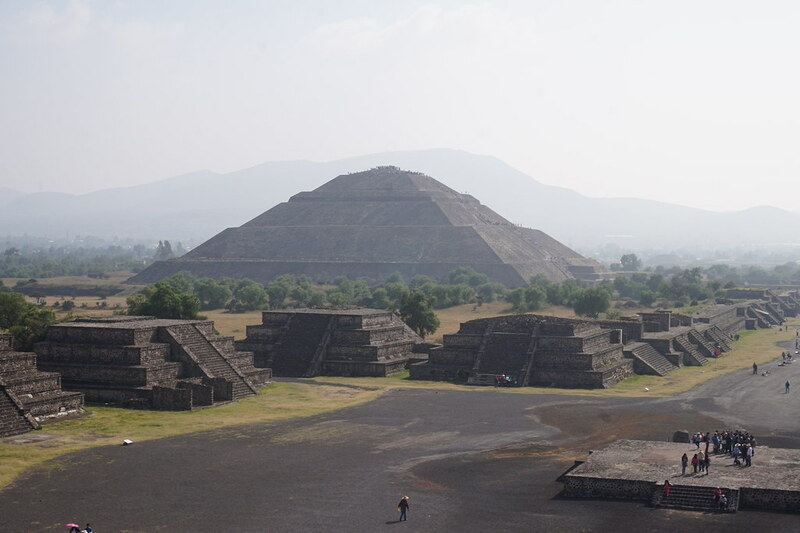 The small pyramids, which surround the great houses of the Sun and the Moon, are scarcely nine or ten metres high ; and served, according to the tradition of the natives, as burial places for the chiefs of the tribes. Around the Cheops and the Mycerinus in Egypt, there are eight small pyramids, placed with symmetry, and parallel to the fronts of the greater. 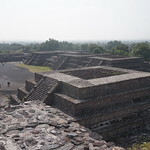 The two teocallis of Teotihuacan had four principal stories, each of which was subdivided into steps, the edges of which are still to be distinguished. The nucleus is composed of clay mixed with small stones, and it is encased by a thick wall of tezontli, or porous amygdaloid.